ChatMonitoringSummary – This tool summarizes the Persistent Chat monitoring information from the monitoring database into a CSV file. Information such as Persistent Chat total sessions, successful sessions, failed sessions with expected and unexpected failures (and their MS diagnostic id, counts and description) from the monitoring database is output so the administrator can understand the service reliability. ChatStress Tool – This tool provides an easy way to simulate the usage of Persistent Chat to test your user model that represents your usage patterns. ChatUpgradeVerifier – This tool compares your source Group Chat database (OCS 2007 R2 Group Chat or Lync 2010 Group Chat) to your Lync Server 2013 Persistent Chat database. This tool can be used to verify if your migration was successful and give you insights into the discrepancies. ChatUsageReport – This tool generates an HTML report of Persistent Chat service usage and includes things such as Top Active Users, Top Active Rooms, Least Active Rooms, Inactive Rooms etc. The administrator can use this information to clean up rooms that are stale and get a better idea of the chat traffic they are seeing. ScheduleADSyncForPrincipal – This is a SQL script that can be run from within SQL Server Management Studio and allows you to force Persistent Chat to synchronize it’s records of a user with those in Active Directory rather than waiting for the scheduled synchronization time. Additional updates is availabe, you can find now Lync Server 2013 Capacity Calculator. Microsoft Lync Connectivity Analyzer attempts to connect to your Lync server using the same services and protocols that are used by Lync Windows Store app and Lync apps for mobile platforms. You can perform the connection tests over your internal network or an external network that connects to your Lync server. Lync Connectivity Analyzer provides a report with detailed information about each connection step to help you validate your configuration and troubleshoot connection problems. UserProvisioningTool.exe. You use UserProvisioningTool.exe to create users and contacts. For details, see “Creating Users and Contacts” later in this guide. UserProvisioningTool.exe is installed .\ LyncStress path. UserProfileGenerator.exe. You use UserProfileGenerator.exe to configure the input parameters for the load tool as specified in the desired user profile. For details, see “Configure User Profile” later in this guide. UserProfileGenerator.exe can be found under .\ UserProfileGenerator path. LyncPerfTool.exe. LyncPerfTool.exe is the client simulation tool. For details, see “Running LyncPerfTool” later in this guide. Default.tmx. You need Default.tmx to use the Lync Server 2013 Stress and Performance Tool. Example provisioning scripts. You can use these examples to configure your topology for running load based on scenarios. These are installed under the .\Doc path. Microsoft has update his documentation too today. Today Microsoft has released February 2013 Cumulative Updates for Lync 2013 products, SDK, whiteboard Archiving Viewer, ressource kit and the planning tool! No mobility for the moment, i hope see this quickly. At Lync Conference, Microsoft announcing Lync Room Systems. 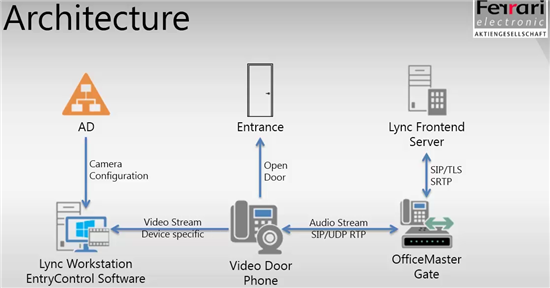 What is Lync room systems? A Lync Room System is a comprehensive Partner offering consisting of a bundle of all required hardware and special Lync 2013 software (the Microsoft Lync Room System Edition software). The hardware includes at a minimum one or two large touch enabled displays, high definition video cameras, microphones and a console in the conference room that enables participation without a laptop or desktop from within the meeting room. 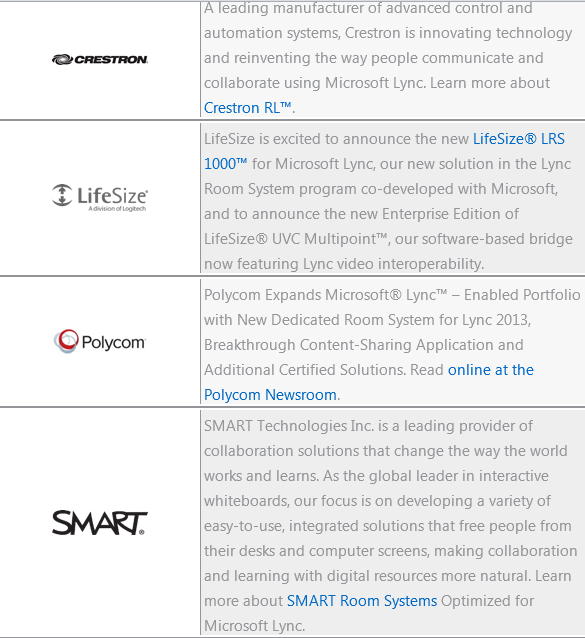 Who is Lync Room System partner? After this announcement, we wait now about more technical informations for this type of integrations. With the Lync Conference in San Diego, a lot of news coming around Lync technology. The next version of Lync Server is coming in Q2 2014. That's about 18 months after the Lync Server 2013 product was released to manufacturing -- instead of two to three years later, as has been the cadence for new Office Server deliveries. Lync Online, the Microsoft-hosted version of Lync Server, is on a quarterly update schedule. Enterprise voice support for Lync Online is on the list of features due some time in the next 18 months. Structured meeting support for Lync Online and Lync Server also are on the list of functionality coming some time in the next 18 months. Lync and Skype connectivity, Microsoft announce Lync-Skype connectivity for presence, IM and voice will be available to all Lync users by June 2013. Lync User Management Tool (LUMT) enables administrators to manage contacts, ACEs and Privacy settings on behalf of Lync Server 2013 users. Enables users to hide offline contacts in the contact list. Enables users to receive buddy invites from untrusted networks. Improves the support for high dots per inch (DPI) displays, for Microsoft Narrator, and for other accessibility features. Fixes bugs that are related to Location sharing and settings. Fixes bugs that are related to Tabbed Conversations. 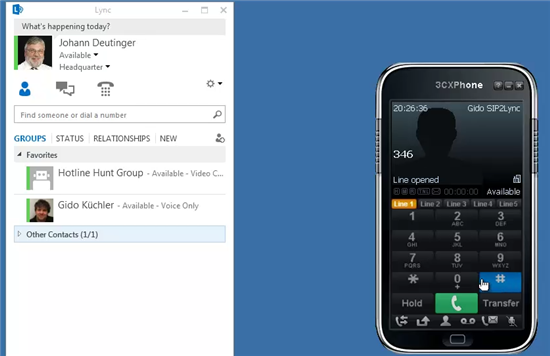 Enables participants to join online meetings by dialing out to their telephone number if online meetings are scheduled by a non-audio-enabled Lync 2013 user. Improves the handling of devices that have both a front-facing and rear-facing camera. 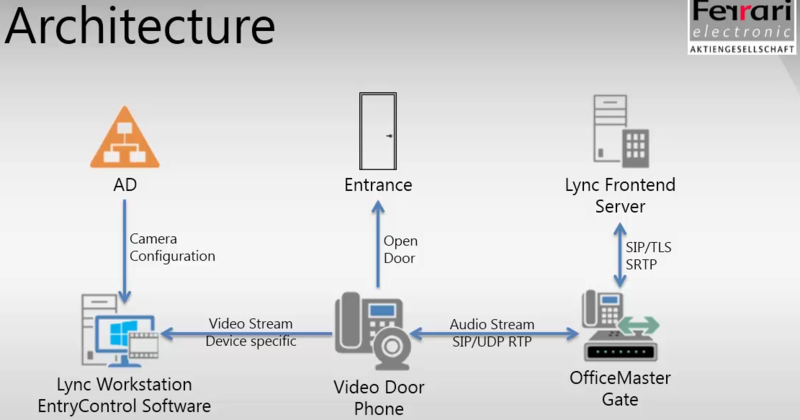 Improves the user experience when you join a Lync meeting in a Lync Room System-enabled room. 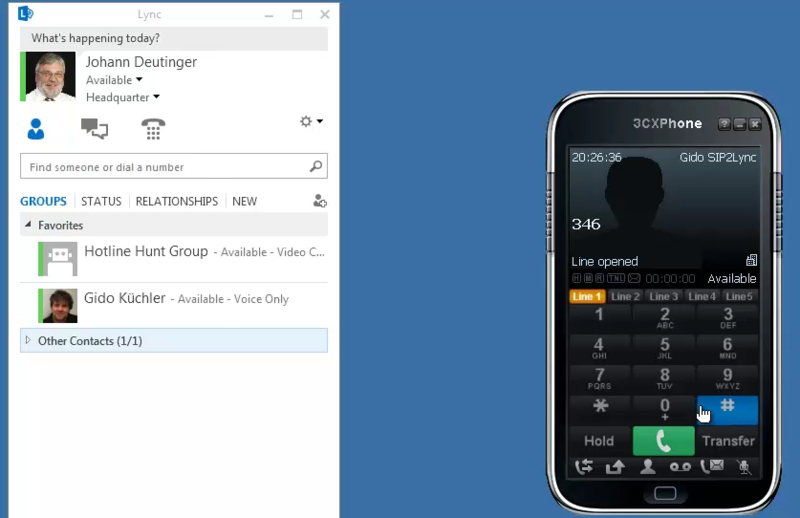 SIP2Lync fully integrates any device into Lync like dect cordless phones, legacy phones via SIP ATA. BlackBerry Enterprise Server 5.0 SP4 MR2 now supports configuring the BlackBerry Collaboration Service to properly communicate with a Microsoft Lync 2013 front end pool. This Maintenance Release Package is a slightly different type of release as compared to previous releases. This setup does alter the database. - No new Enterprise Instant Messenger client required. Lync 2013 session presented during Nordic Infrastructure Conference (NIC) in Oslo are online.